SUITS are generally the most expensive component of a man’s wardrobe. A better-quality men’s suit can cost $600 or more when new. The best way to avoid that cost is by using these tips to buy used suits on eBay. 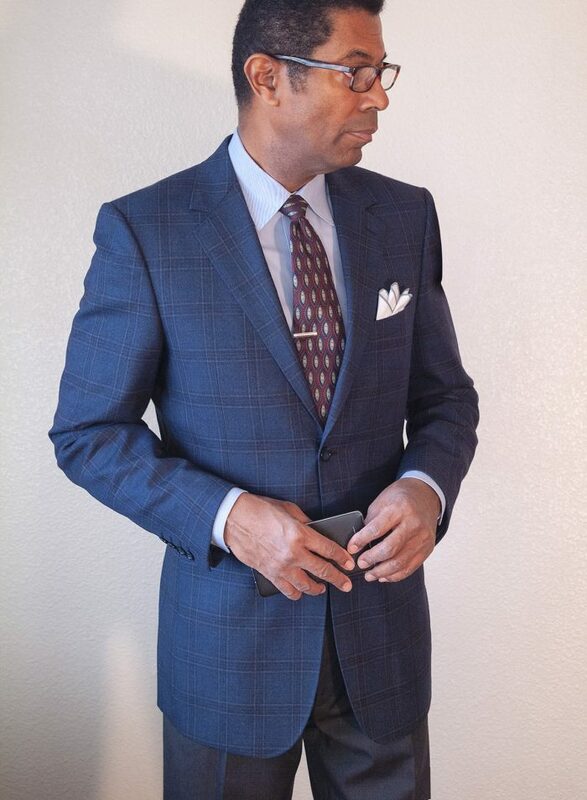 A Wool Flannel Coppley Suit Purchased for $26.00 on eBay. Our rabid consumer culture drives people to buy new stuff constantly. Men’s suits with years of usable life are usually discarded due to boredom and an insatiable appetite for the newest and most fashionable. Others come from estate sales or may be last season’s retail store leftovers. Whatever the source, you can find amazing deals on second-hand suits with a little knowledge and very little cash! These eBay tips will guide you to your best second-hand men’s suit bargains. 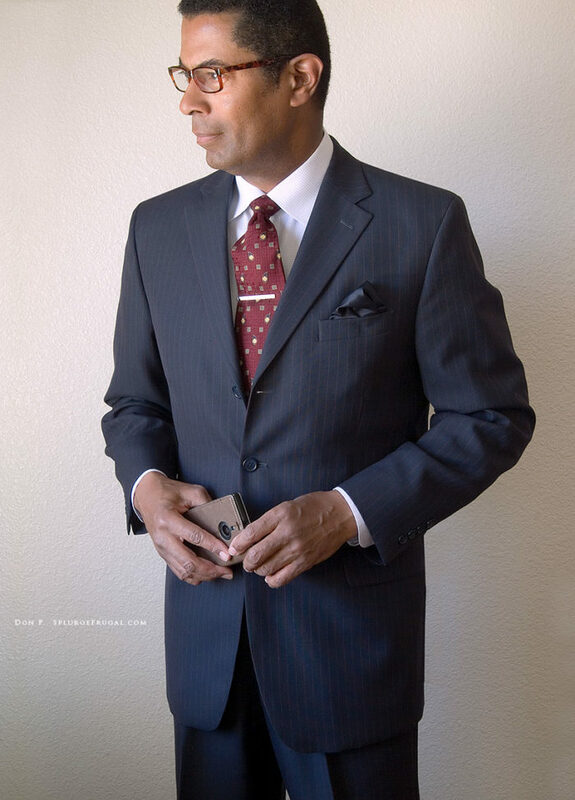 eBay offers the widest selection of gently used men’s suits for the discerning shopper. For the most part, it’s a waste of time looking for good used men’s suits in local thrift shops (they are great for other types of clothing). It’s too much of a ‘hit and miss’ search and the selection of styles and sizes are sparse. The most efficient way to find the widest selection and best quality is by shopping on eBay. Here are a few easy-to-follow tips that will help you to find the best used suits for your frugal dollar on eBay! It is essential that you know your suit size. 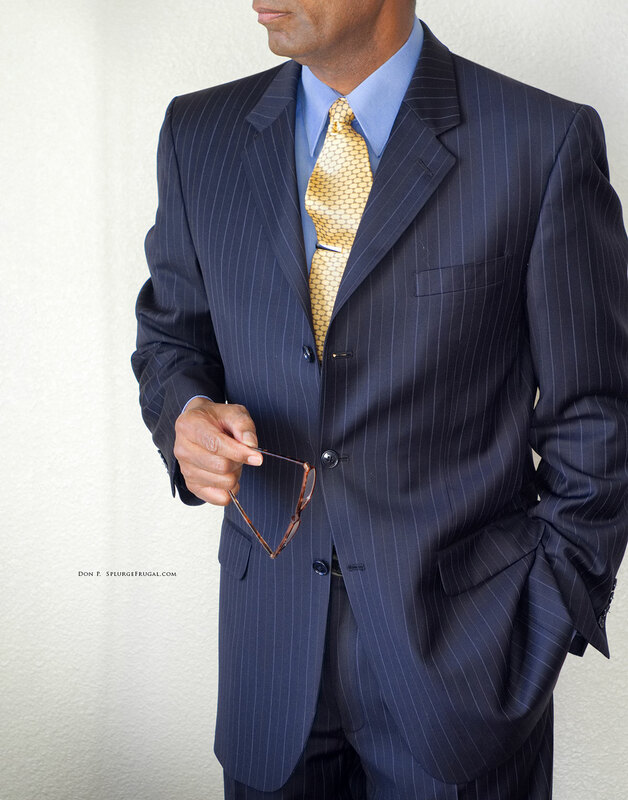 Many men do not know their proper suit size and may actually have a wardrobe of poorly fitted suits. 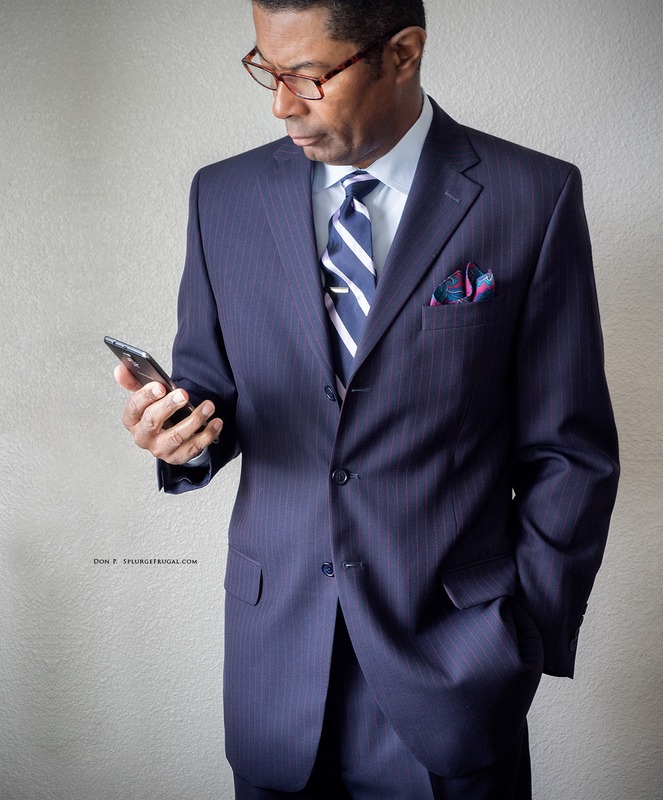 If you shop at a men’s clothing store or reputable department store, the salesperson can quickly determine your correct suit size. Ideally, you may already own one suit that fits you well. You will need to take some key measurements from that suit to compare to used suits being sold on eBay. 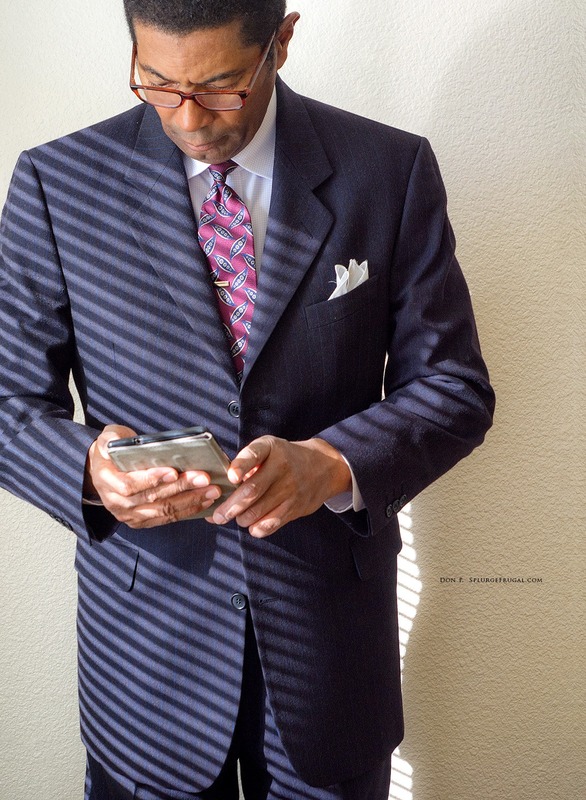 This is the best way to ensure that your online used suit purchase will fit properly with minimal alterations. Measure a suit that fits you well and use that as a guide to ensure the best fit in used suits purchased on eBay. Here is a helpful video that shows how to determine your proper suit size. If you know a good tailor or seamstress, ask for their help. This knowledge will greatly increase your chances of finding a suit that fits when buying online. 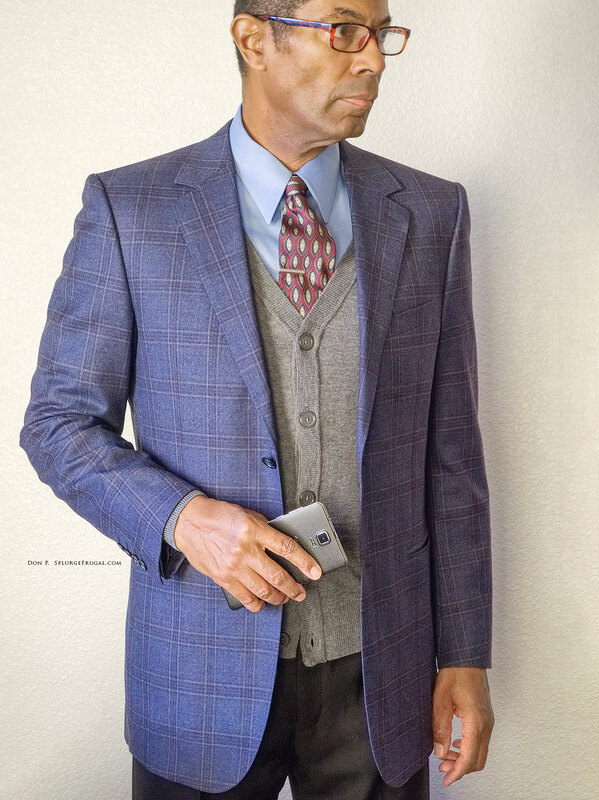 eBay vendors usually will provide jacket chest width, jacket length, sleeve length, pants waist size and inseam length measurements in their descriptions for used suits. Here is a video that shows you how to measure a suit jacket that fits you well. Compare the measurements of the used suit you plan to purchase on eBay to a suit that fits you well. Sometimes, used suits may be the size you need but may have been altered by the original owner. Comparing measurements will ensure that the suit will still be a good fit with minimal alterations. Is the suit fused, half-canvas or full canvas lined? This is the single most important test of suit quality. Better quality suits use a horsehair (or other natural materials) canvas panel, which is sewn between the lining and the cloth of the front panels of the jacket. This canvas interlining aids in gently shaping the suit over the contours of your shoulders and chest, and allows the suit to breathe and retain its shape after repeated dry cleaning. Typically, most suits in the $500-$1500 range have half-canvas construction. 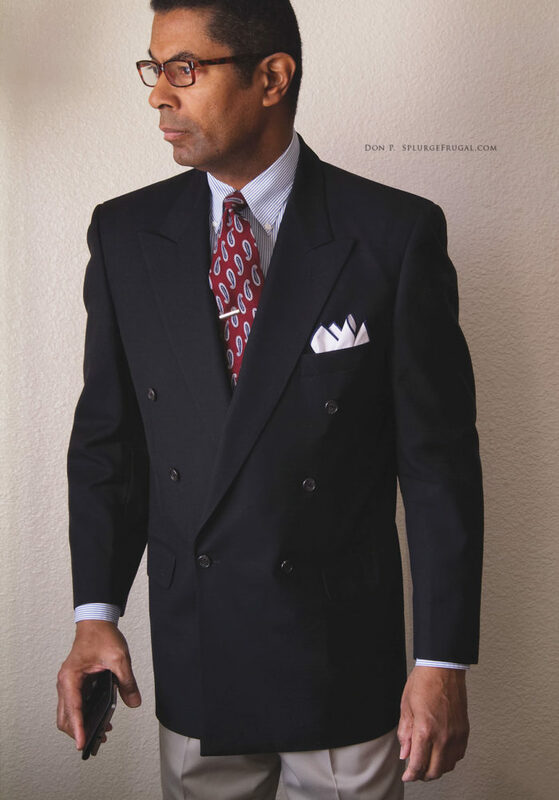 This is a natural canvas interlining that covers the chest area of the suit instead of extending the length of the jacket (known as full canvas). Half-canvas is a very good option for getting the best value in a quality used suit at a modest price. Many better suit manufacturers offer half-canvas construction in their top-of-the-line suits, such as Hart Schaffner & Marx, Jos. A. 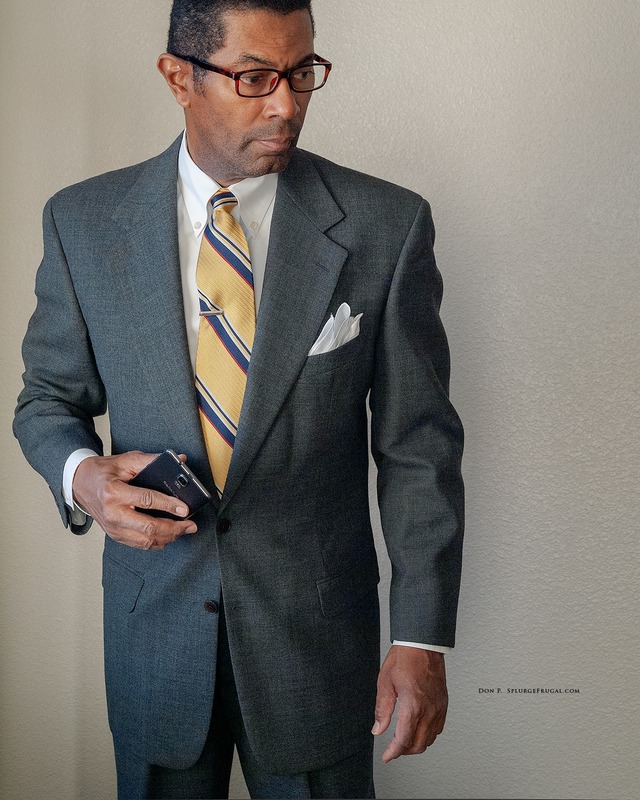 Bank, Hickey Freeman, and Brooks Brothers. 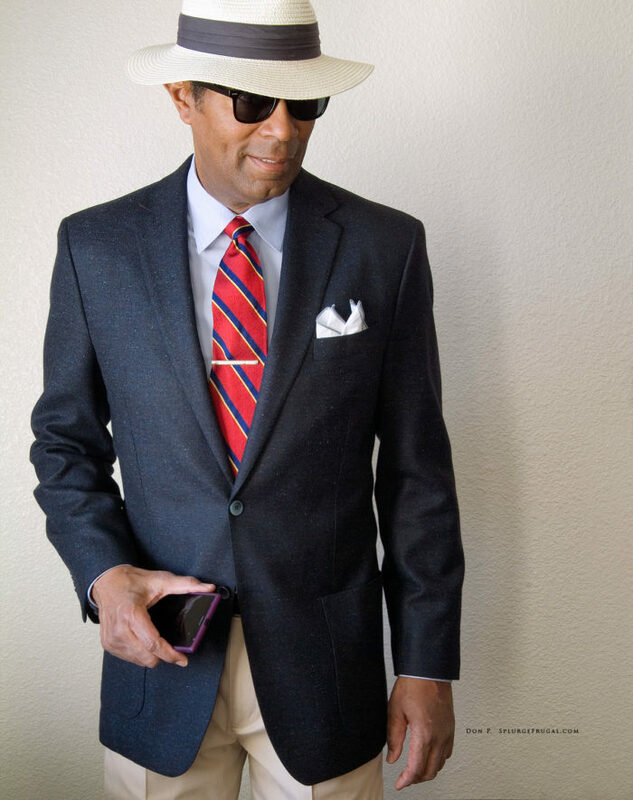 Check out this post for the best men’s suit brands to look for when thrifting. Half-canvas suit construction offers the best balance of quality and value when shopping for low-cost used suits on eBay. Full canvas interlining construction is the ‘Rolls-Royce’ of suits and is usually found in suits that retail for $1500 and beyond. Realistically, you will rarely find this suit quality in low-priced used suits on eBay unless you do some careful and consistent searching. I once purchased a used Zegna mainline suit (full canvas interlining) that typically retails for over $2000 for $50.00. You need to search often and with a sharp eye to turn up deals like that. A fused construction suit glues a lower quality interlining into the front panel of the jacket. Nearly all inexpensive suits (below $500 retail) use fused interlining construction. It is the lowest quality of suit construction. 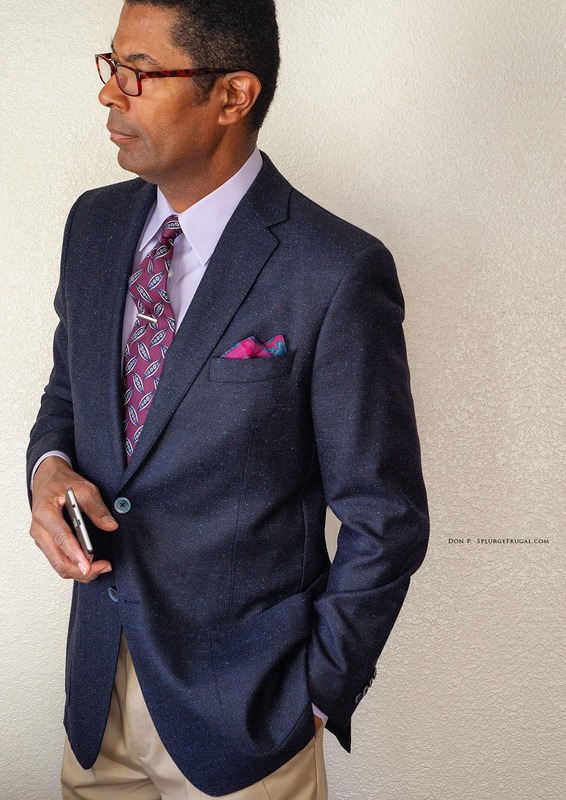 Suit jackets with poor quality fused construction interlinings may separate with repeated dry cleaning (you may start to see puckering on the lapel and jacket front as the glued interlining separates from the outer cloth) and do not last nearly as long as sewn half-canvas or full canvas suit construction. This has become less of an issue of recent with improvements in the materials and glues used for fused interlinings ( I have not seen this problem with any suit I’ve purchased in the last decade). Calvin Klein Collection wool flannel suit purchased for $25.00 on eBay. A classic! The truth is, most of us will purchase fused-construction suits, blazers, and sportscoats. 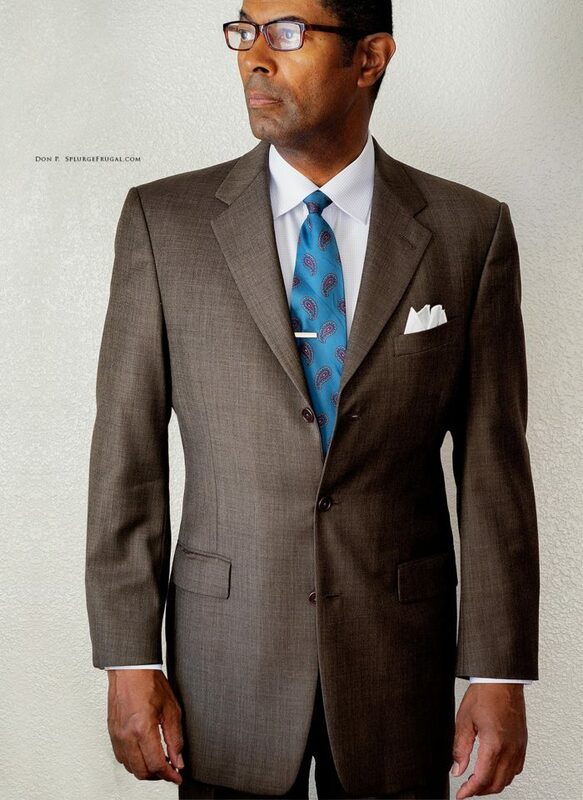 Most mass-market men’s suits priced under $500 when new use lower-cost fused interlining construction. Here are some tips on getting the best fused-construction suit quality for your money. First, if you buy a second-hand fused construction suit, purchase one that is of recent manufacture. The quality of fused construction materials and glue has improved greatly in the past decade. Fused-construction suits of recent manufacture are generally of better quality and can often match half-canvas suits in real-world durability, looks, and comfort. However, because they are cheaper to manufacture you should always pay less for fused-construction suits. Better modern suits made of lighter weight fabrics that feature half canvas and full canvas interlining construction usually add lightweight fusing as well to give the front of the jacket a bit more body and weight. In summary, cheaper suits will have fused interlining construction, better quality modern suits will feature half or full canvas interlining plus some fusing in construction. A wool suit (don’t buy polyester, just don’t) will release minor wrinkles and odors if it is allowed to rest on a hangar and air out for a day or two after wearing. Use a soft clothes brush to lightly brush your suit after each wearing. This will remove any dirt that can shorten the life of the fabric. If you need to remove wrinkles or odors, use a clothes steamer to freshen the suit (inexpensive hand-held clothes steamers work well). An inexpensive hand-held clothes steamer will kill bacteria that causes odors. The heat of a steamer will also instantly kill any moth larva and dust mites that may find its way to your suit. A hand-held steamer can be found for under $20.00 (US) and is your suits best friend! A good steam iron (see my article on choosing a good steam iron) along with a pressing cloth will allow you to press your slacks and remove the occasional stubborn wrinkle. Always use a pressing cloth to avoid fabric scorching and shine. 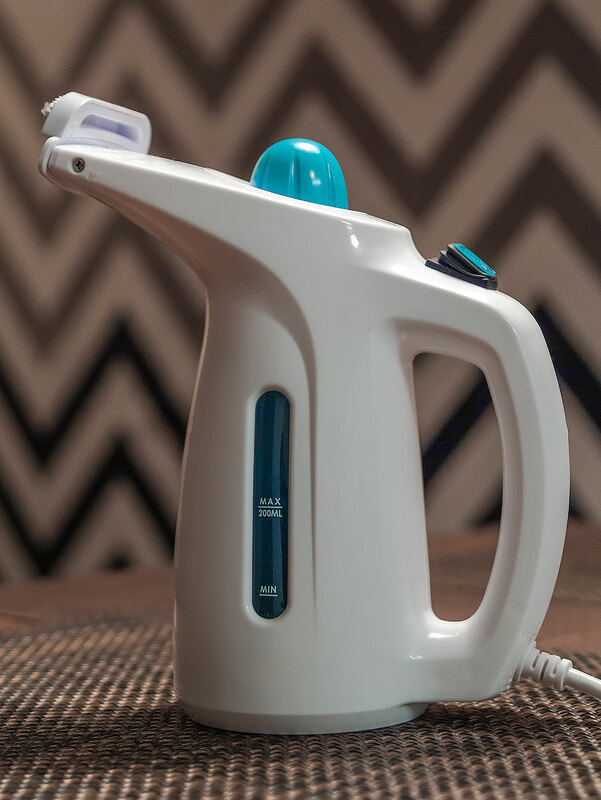 An Inexpensive Hand-held Clothes Steamer – Your Suits’ Best Friend! Generally, you dry-clean only when your suit is visibly soiled or dirty. Dry cleaning chemicals inevitably shorten the life of any suit. Dry clean as infrequently as possible (once a year is recommended). By thrift-shopping you can afford a selection of quality suits that are worn in rotation, minimizing the need for frequent dry-cleaning. With these simple precautions, you will be able to get years of good looks and wear from your suit. In short, if you want the best quality, look for half-canvas or full-canvas interlining construction whenever possible. You will find far more half-canvas suits in the second-hand suit market. How can you tell if a used suit offered on eBay has half-canvas or full-canvas construction? Look for the brand name on the label and do a search on Google for the manufacturer’s website. Generally, if that brand uses half or full canvas it will be proudly stated in the advertising. Plus, online men’s wear forums provide lots of information about the construction methods used by many suit-makers. If the suit has full or half-canvas interlining, it’s pretty safe to assume that the rest of the construction and materials are of good quality. 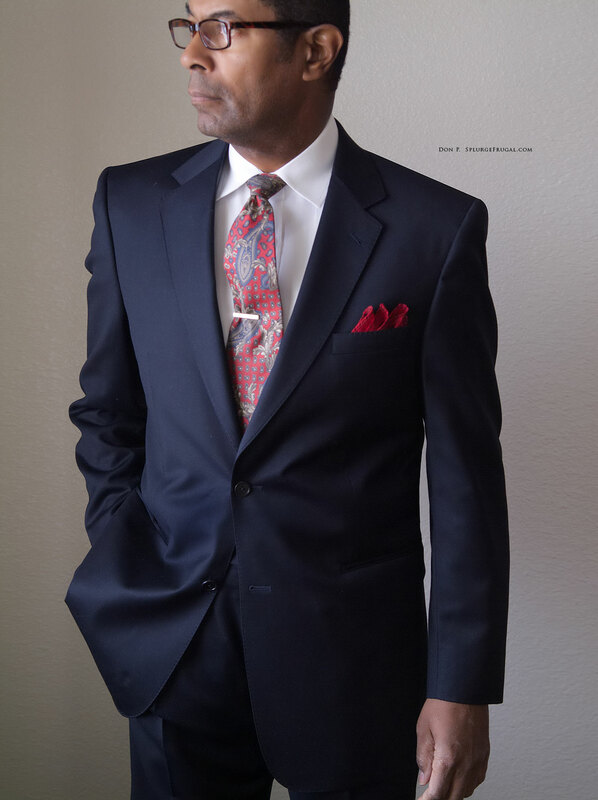 Good advice on determining suit quality can be found on Youtube and in online menswear forums. Educating yourself will ensure that you get the best value when buying used suits online. In most cases, the used suit vendor on eBay may not know anything about the suit construction. That can be to your advantage if the suit is selling for a very low price. It only takes a few minutes to research the suit label on Google. By doing this, you can find some amazing deals on high-quality second-hand men’s suits that are sold for much less than their real value. Also, check out this guide to always finding what you want when shopping for second-hand suits and sportcoats. I routinely find suits for less than $50.00 (not including shipping) used on eBay that typically sells for $700 to $900 when new. If you are a shrewd shopper, you can easily do the same. These are suits from quality-oriented brands that are often overlooked by buyers fixated on popular designer labels. Recently, I purchased a used Daniel Cremieux 2-button wool suit (half-canvas construction) that retails in Dillard’s for $800 when new for only $14.00. I also purchased a Hart Schaffner Marx – Gold Trumpeter label suit (also half-canvas construction) that retails in Nordstrom for $700.00 for only $12.00 used. Both suits look as good as new and should provide years of service. Many mass-market designer label and fast fashion suits focus on brand appeal and fashion, not quality construction! You are paying a premium for the designer’s name, not necessarily a better quality suit. Many popular designer label suits use cheaper fused construction, not higher quality half-canvas or full-canvas, yet command a premium price. A quick Google search will often tell you (men’s clothing forums are good for this sort of information). It is better to pay for quality construction than a popular designer label. Because many consumers gravitate towards popular designer label suits, they are likely to command a higher price on eBay when sold second-hand. Focus on quality, not the designer label. Look for suit brands that offer half-canvas or full canvas construction. That is the best indicator of the overall quality of the suit and value for your frugal dollar! Generally, in mass-market brands, the more fashionable a suit is, the poorer the quality. 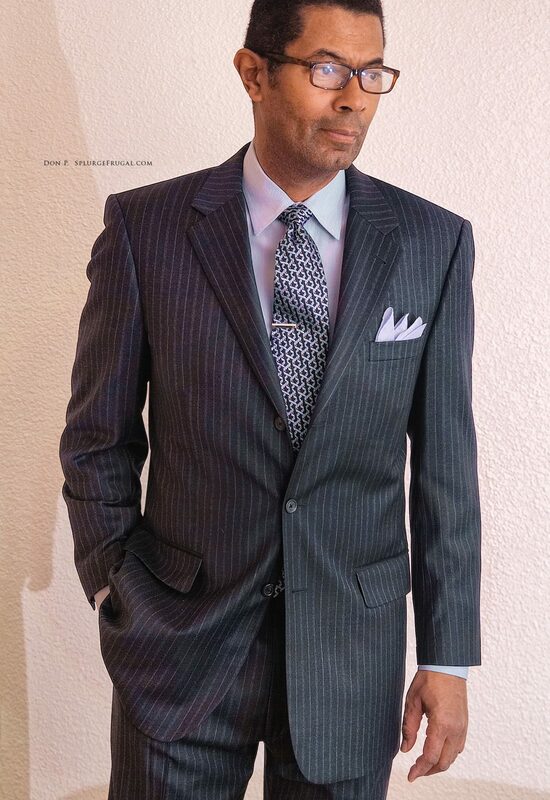 A quality suit is made to last for many years so it will not have the latest faddish details. Buy for longevity. My favorite blazer was purchased used at a thrift shop thirty years ago for $25.00. It has full canvas construction, wears beautifully, and still gets compliments each time I wear it. 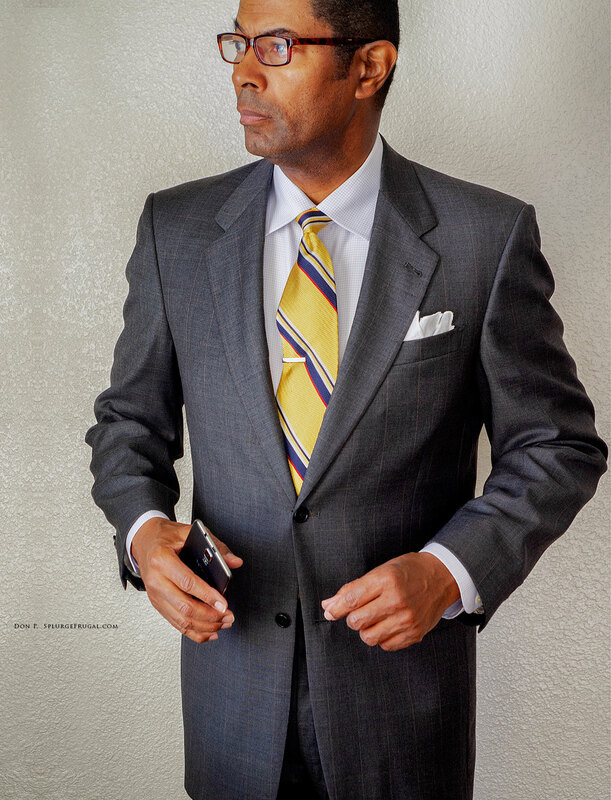 You can always update the look of a conservative well-made suit with your choice of shirt, tie, and accessories. If you pay careful attention to the suit measurements mentioned in tip #1 you may need only minimal alterations. Be sure that the suit fits well in the shoulders, as that can be a prohibitively expensive alteration. Generally, waist, cuff, and sleeves can be easily altered. Truthfully, unless you are a fairly standard size, alterations are necessary whether you buy new or used suits. I purchased an inexpensive sewing machine (Brother 17 Stitch Sewing Machine for $75.00 at Walmart) and taught myself how to do basic alterations. It was a great investment, allowing me to do waist, sleeve length and inseam alterations quite easily on my suits, shirts, and pants. If you have purchased a used suit on eBay with measurements that match a suit that fits you well, you will avoid more difficult and expensive alterations. You may also find that certain brands fit you better than others. If you buy good quality, that used suit will easily give you ten years or more of service. You may decide that it is worth the expense of professional tailoring. A recent fad in men’s suits is extreme skinny suit tailoring. The jacket is so closely fitted that taking a deep breath causes the buttons to strain. Also, pants are tailored so tightly that they bunch up along the leg. A suit should drape the body, not squeeze it. Modest tailoring will extend the life of the suit and look more tasteful. You can put together a high-quality wardrobe very inexpensively by buying used both online and in local thrift shops. The more you know about clothing quality the better you will become at sniffing out true bargains. Two excellent books on menswear that I recommend are found in this post. There are many helpful Youtube videos and websites that can help you to learn more about this subject. Educate yourself and you will save tons of money! By the way, you want your dress shirts to look their best when paired with your beautiful new suit. Here’s a great article on how to iron dress shirts that you may enjoy! Oh, one more thing! Now that you’ve put together a great collection of suits, check out my latest posts on how to buy used sportcoats online, and how to thrift shop for casual clothing.